USDA Ends ‘Kitten Cannibal’ Experiments! Home › Cat › USDA Ends ‘Kitten Cannibal’ Experiments! OK, before we even get started, note the date — this is NOT an April Fools’ Day post, much as we wish it were. No, apparently our government really was doing some sadistic mad science that involved forcing cats to engage in cannibalism. The U.S. Department of Agriculture announced on Tuesday they were ending a research program in which they had reportedly killed thousands of cats — apparently in an effort to understand and combat toxoplasmosis. According to a bombshell study published a couple weeks back by a nonprofit called the White Coat Waste Project, the USDA’s Agricultural Research Service had been testing on cats since 1982. Their research found scientists had purchased hundreds of cats, as well as dogs, from “Asian meat markets” (though that title is a bit of a misnomer — the list of countries involved includes China, Vietnam, Ethiopia, Brazil, and Colombia). The report went on to claim scientists at the Animal Parasitic Disease Laboratory in Beltsville, Maryland, infected many of these animals with toxoplasmosis — then proceeded to feed them to healthy cats. This is something our government really did. Eep. Those cats served as hosts for the parasite T. gondii, which was then harvested from their stool. And then the host cats were also put down, and their bodies incinerated. It’s all just so horrific! But what was it all for? What is toxoplasmosis? Toxoplasmosis is considered to be a leading cause of death attributed to foodborne illness in the United States. More than 40 million men, women, and children in the U.S. carry the Toxoplasma parasite, but very few have symptoms because the immune system usually keeps the parasite from causing illness. Eesh. Scary to consider… Now we understand the need for research, but why cats?? Apparently cats are the only host animal which produces parasite eggs which can then be harvested by scientists for study. In all, the White Coat Waste Project believes over 3,000 cats were killed as part of the USDA’s research. Apparently there had already been efforts in Congress to cease the experiments; the Kittens in Traumatic Testing Ends Now (or K.I.T.T.E.N.) Act had bipartisan support. But it was the “enemy of the people” as Trump likes to call them, that made the difference. 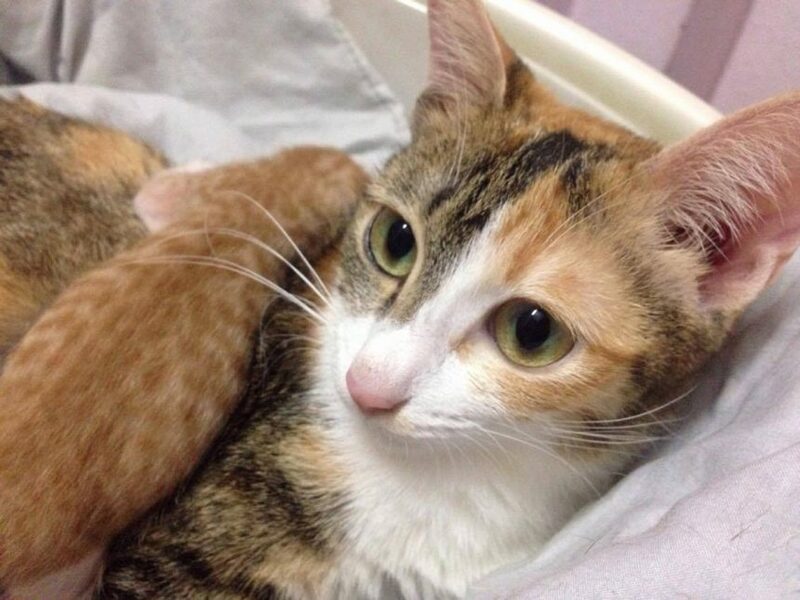 The 14 healthy cats remaining at the facility are to be put up for adoption. Would YOU like to take home an adorable lab kitten? ?